The next Shimmer Me Box theme is Beaches and its release is on 5/25 at 11am CDT, at Native War Paints. 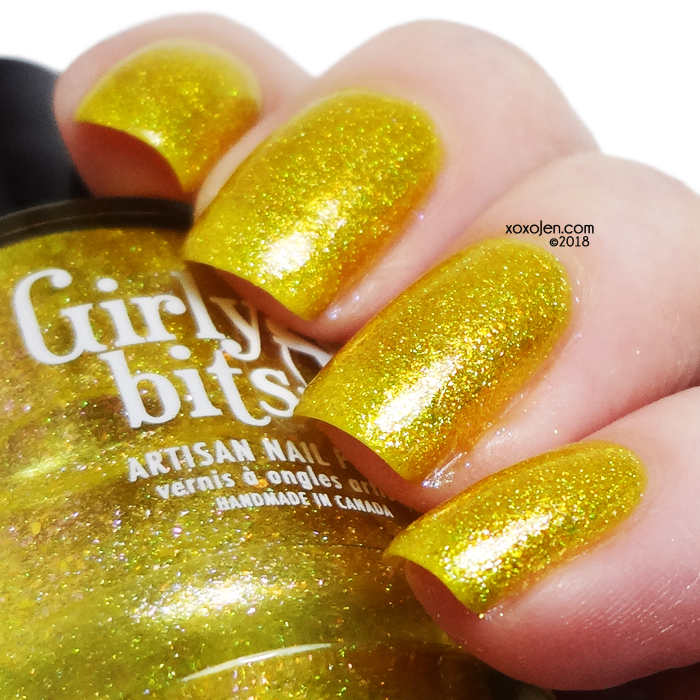 The guests this month are Girly Bits and Fancy Gloss. Are you ready to see them? We'll Plan Our Escape is a vibrant yellow jelly swimming with red to orange shifting glass fleck, sprinkled with tiny holographic glitters like sunlight shimmering on the water, and finished off with iridescent colour shifting flakes in orange to pink to gold. I wore three coats on its own, and then used it as a topper on the accent nail of the other polishes. It is amazing how much the polishes change! The polish is a jelly, and is sheer as expected so if you want full coverage it might be a good idea to wear a cream under it. I also noticed an unusual odor, abnormal for Girly Bits polishes. Pam let me know that the type of flake used in the polish can cause it and nothing to be alarmed about. Pier 60 is a turquoise green scattered holo with light lilac shimmer. It can look turquoise green or turquoise blue depending on the light. Two coats with topcoat shown, although this could be worn in one coat. Formula was smooth and easy to apply. Magnetizing Sunsets is fuchsia with gold to green shifting shimmer and purple/blue magnetic pull. Three coats with topcoat shown, formula was smooth and easy to apply. The bottle comes with a button magnet glued to the cap, but I used a bar magnet to get the diagonal effect. 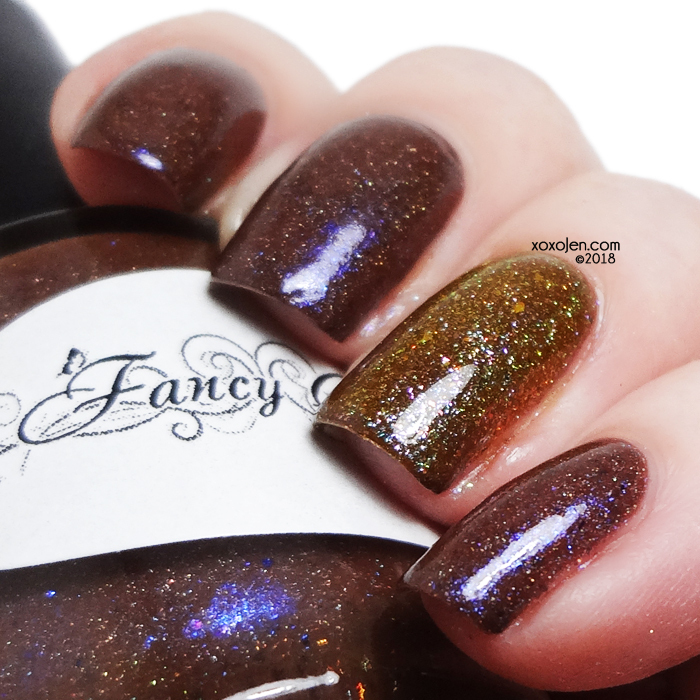 Glowing Waves is a brown holo with two types of blue shimmer & blue/violet/copper flakies. Two coats with topcoat shown, formula was smooth and easy to apply. I hope you've enjoyed the review and photos. Will you be picking up the Beaches box? All of these are super pretty!! I love the yellow used as a topper over the others! CBL WOW what the color!!! I love it! !